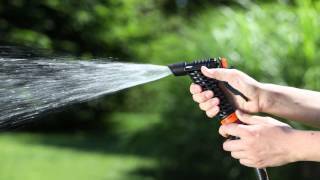 Professional quality spray pistol for all your irrigation needs. Compact and sturdy, easy and comfortable to handle, it allows you to adjust the water jet at any moment and to lock the position of the adjustment lever with a specific mechanism, preventing hand fatigue, especially in the event of prolonged use. Professional heavy duty spray pistol with lever adjustment of water flow and patented blocking device for desired jet.